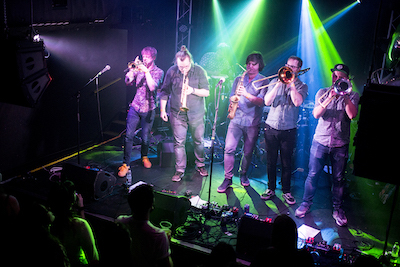 Preceding themselves with claims of pioneering Brass 2.0, Broken Brass Ensemble arrive with some big shoes to fill. Strolling into Bristol’s floating-est venue to promote new record With a Vengeance, the eight-piece seemed to be looking to prove two things: 1. Brass bands can be cool, and 2. The boat can - literally - be rocked.